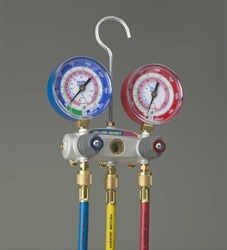 Use the electrolyte sensor or UV technology (or both at the same time) to detect HFC, HCFC and CFC refrigerants, including SNAP approved hydrocarbon blends. The Smart Alarm LED shows how big or small a leak is on a scale of one to nine. 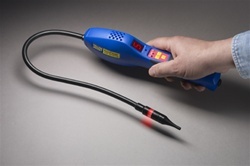 With the electrolyte sensor, UV lights and Smart Alaqrm indicator, this is the only tool you need for fast, easy and certain leak detection. 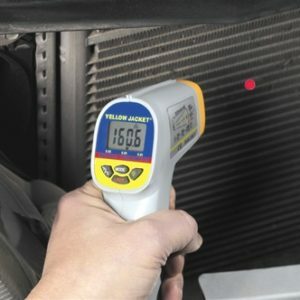 The ultra-sensitive sensor of the Yellow Jacket AccuProbe UV Handheld Leak Detector allows it to detect even the most difficult to detect R-1234yf, R-134a, R404A, R-407C and R-410A refrigerants. Our exclusive solid electrolyte sensor technology reduces heat and gives the sensor longer life than traditional heated anode or headed diode detectors. 7 to 9 – more than .05 oz./yr. 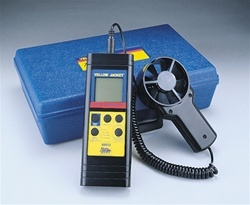 Be the first to review “Yellow Jacket 69336 AccuProbe™ Leak Detector” Click here to cancel reply.